Solomon Darwin has broad leadership experience in corporate management and academia. He is an international speaker recognized by peers, executives, and students with numerous awards for his innovative leadership and passion for teaching. He inspires students from both business and engineering disciplines in his courses for open innovation, business models, smart cities, scalable smart villages, IBM Watson and business models for emerging economies. As an expert in "open innovation" and "open business models," he is an adviser to senior executives of multinationals and government leaders in the emerging world. The list includes Google, Genentech, HP, Health Net, J&J, Toyota, NHS of UK, UCSF, Royal Caribbean, Autodesk, Nestle and government entities in Mexico, China, Russia, India, Colombia and Europe. He directs and moderates international innovation conferences and forums, and chairs quarterly Chief Innovation Officer round tables in Silicon Valley. Prior to joining Berkeley Haas in 2005, he was an Associate Professor for nine years at University of Southern California. His progressive corporate leadership experience covers a span of 14 years as a Senior Executive Officer at Bank of America, First Interstate Bank, and Glendale Federal Bank and Motorola. During summers, Darwin regularly teaches in executive programs at prominent international universities and institutions. He has conducted workshops and programs in over 18 countries. He also serves as honorary professor at several universities in Europe, China, and India. His current project, “Building Scalable Smart Villages,” was commissioned by the government of Andhra Pradesh, India. "Who’s Who Among America’s Teachers"
Keynote Speaker: International Triple Helix Conference, London – 2013; International Open Innovations Conference, Moscow, Russia -2012 ; Big Innovation Center, London -2013/2012. Fraunhofer Institute’s Innovation Conference, Germany – 2011; World Trade Center, Mexico City – 2011; The Atlantic’s “American Competitiveness ”- 2006. Solomon Darwin, Executive Director of the Garwood Center for Corporate Innovation, has become an increasingly influential promoter of U.S.-India ties. He's also the leader of a Smart Village Movement that aims to bring technological and economic development to India’s rural villages. 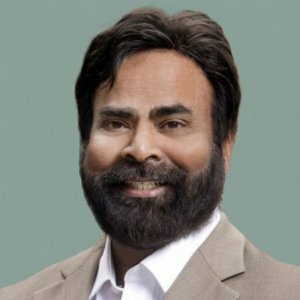 Solomon Darwin, executive director of the Garwood Center for Corporate Innovation, will serve as an advisor to a new Smart Village project facilitating technology innovation, research, and development in selected villages of the Indian state of Arunachal Pradesh. Regulators must often make difficult decisions based on uncertain or limited information. When it comes to issues of public health or safety, these decisions can become even more difficult due to media scrutiny and public criticism. "This project has been conceptualized in order to develop a smart village by leveraging digital technology and open innovation. Ericsson's ' Connected Aquaponics' and 'Smart Water Grid' solutions integrate sustainable agriculture and aquaculture which help optimize water distribution and reduce adverse effects on ground water," said Executive Director of Garwood Center for Corporate Innovation at UC Berkeley-Haas School of Business, Professor Solomon Darwin. Solomon Darwin: Dear Honorable Chief Minister, you have been a proponent of the creation for smart villages, and I am very much with you in this movement from the Open Innovation point of view. Unlike many prevailing definitions of a smart village, UC Berkeley’s Garwood Center for Corporate Innovation has established a unique proprietary definition of smart village, which is clearly stated in my executive summary provided to you. I teach Open Innovation in developing scalable and sustainable business models at UC Berkeley. Terming the setting up of the COI by Prof. Solomon Darwin of Garwood as a great beginning, Mr. Chowdary said people-to-people, intellectual connections were important for success.